Outstanding!<br />Clive Brill is a genius. Love and wit conquer all in Shakespeare's sparkling comedy of self-delusion and disguise. Padua holds many suitors for the hand of fair Bianca, but Bianca may not be married until her spinster sister, Kate, is wed. Could any man be rash enough to take on Kate? The witty adventurer Petruchio undertakes the task. While he sets about transforming Kate from foul-tempered termagant to loving wife, young Lucentio and his clever servant, Tranio, plot to win Bianca. Frances Barber and Roger Allam are Kate and Petruchio. Lucentio is played by Alan Cox. This is my favorite Shakespeare play. I love this performance. It's so easy to get lost in the play and lose track of time. I highly recommend this audio version! I like the book it helped me for school since we were to read during school. 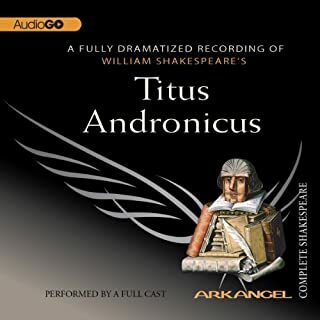 Great to listen as fully dramatized. As a modern female, I was a bit aghast at the moral of the story, but it's Shakespeare so what are ya gonna do. Easy and fun listen! Great multi actor performance! True to the script. A great option if you can't see the play in person. First off, the performance was spectacular. I enjoyed the different tone and reading the actors brought. That said, I really think this play reflects more of a misogynist view point than I can tolerate in a comedy. The actors and music was wonderful! The entire production legitly made if fell like i was actually there. Well done! 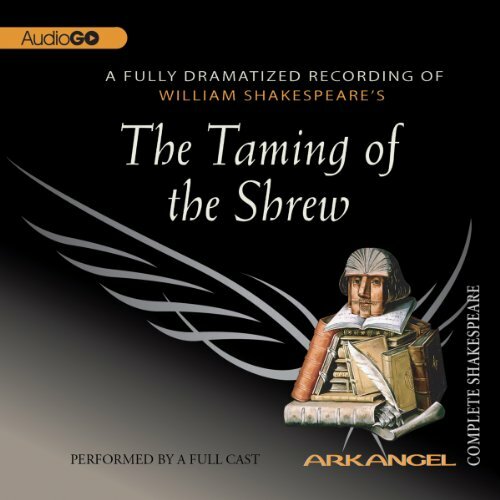 The Taming of the Shrew is another early Shakespeare play, and it's one that makes me distinctly uncomfortable - maybe even more so than The Merchant of Venice, another "problem play." It is, in my opinion, a misogynistic play. 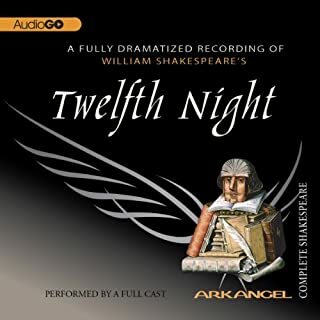 The spirited Kate has a few moments of tenderness with her crazy husband Petruchio, but only after she's been starved, deprived of sleep, and forced to debase herself in front of others. (To his credit, he never actually hits her, but that's setting the bar pretty low.) Many productions try to get around the implications by making it all seem ironic, but I've never been able to find that irony in the text. Not much irony in this production either; it's played straight. The cast is, as usual, first-rate, although Frances Barber is sometimes a little too shrill as Kate; granted the character is described repeatedly as a shrew, but there's shrewishness that's funny and shrewishness that's just unpleasant. The other odd thing about the play is the appearance and disappearance of the "framing story" involving Christopher Sly. Shakespeare sets it up and then abandons it after a couple of scenes. Another play from the period provides a few other scenes with Sly, including an epilogue that neatly ties up the loose ends. Many recent productions, if they include the framing story at all, add these scenes. 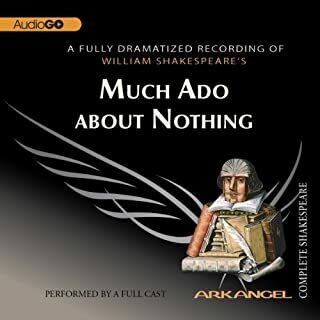 I suspect they were written by Shakespeare and intended to be part of the play, but Arkangel sticks to their guns (and their stated purpose) and omits them. 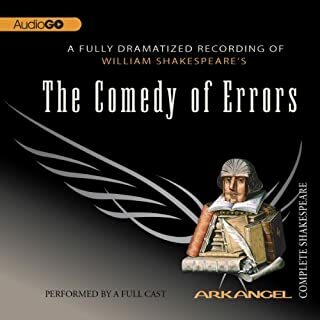 Not one of the more satisfying entries in the series, but the fault is mostly Shakespeare's.